One thing we can all be grateful for this year is progress for farm animals. As consumers demand more humane alternatives to factory farming, companies and supermarkets are responding by stocking their shelves with plant-based and welfare-certified options. We’ve crafted a holiday shopping list of the most festive products from our Shop With Your Heart brand list that have either earned a meaningful animal welfare certification recognized by the ASPCA or are a plant-based alternative. Many of them are available to order online, right to your door! Whether you're looking to spruce up your recipe classics or try something new, there’s something here to delight everyone at the table. Make kindness a part of your family tradition. Happy Thanksgiving! (or a plant-based alternative, denoted by this icon !) When a product shows the basic GAP label without a number, look for separate language on the package identifying the product’s step level. Many are available at supermarkets across the country, while others are available for purchase online . Have you ever tried substituting mushroom gravy or vegetable broth in your holiday classics? They add a rich flavor and cater to everyone at your table! 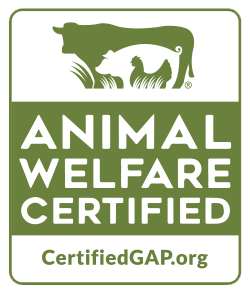 For a full list of certified meat, egg and dairy brands as well as plant-based alternatives that you can find in stores and online, please visit aspca.org/foodbrands. If you are having trouble finding welfare-certified or plant-based alternatives, let your local grocery store know you want them to stock more humane products!